With a casual style and lightweight cushioning, the adidas Aqualette Womens Shower Slide Flip Flops are ready to be slipped on in a sporty fashion. Wear these flip flops at the beach, in the changing rooms, around the home or anywhere else you want to get the fresh air to your feet. 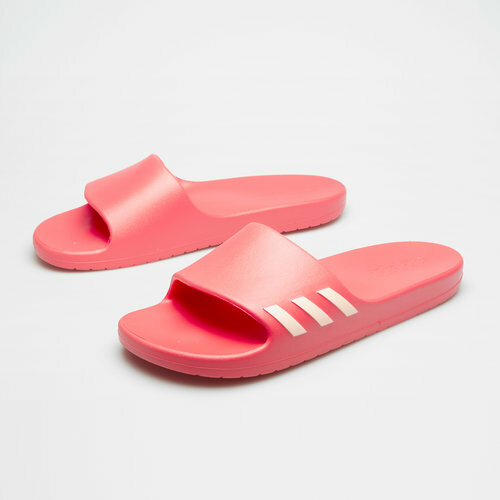 A core pink and haze coral look to these sandals sees the signature adidas three stripes decorated in white on the side of the over-the-foot strap.